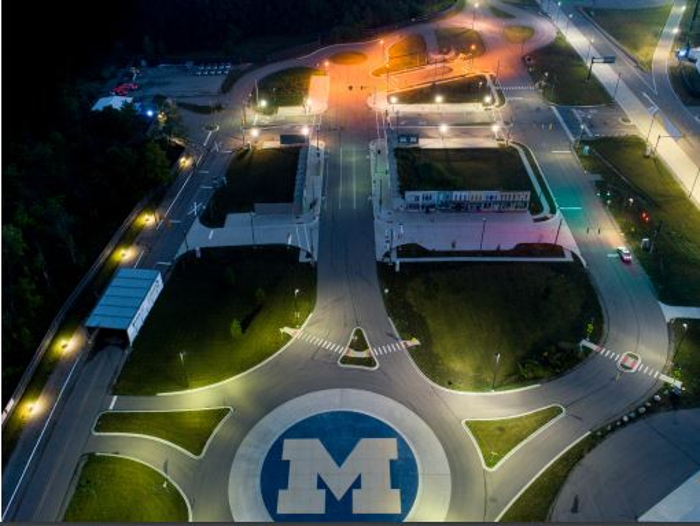 The Mcity proving ground at the University of Michigan (U-M) has outlined a test track-based concept for evaluating the safety of highly automated vehicles (HAVs) before they are tested on public roads that could emerge as a model for a voluntary standard for safety testing. Mcity is a public-private partnership led by U-M that aims to accelerate advanced mobility vehicles and technologies. The new Mcity ABC Test concept would create an independent safety assessment for HAVs that would be a key element in a three-pronged approach to vehicle testing, along with simulation and on-road evaluation. The project comes after two highly publicized fatalities last year stoked consumer fears about the safety of driverless vehicles and slowed development of the technologies that have the potential to save lives, conserve energy and expand accessibility to transportation. With recent surveys by groups including JD Power finding that as many as half or more of consumers the USA are concerned about the safety of driverless vehicles, Mcity feels that its ABC approach could help rebuild consumer confidence in the new technologies. Corner-case testing focuses on situations that test the limits of automated vehicle performance and technology. 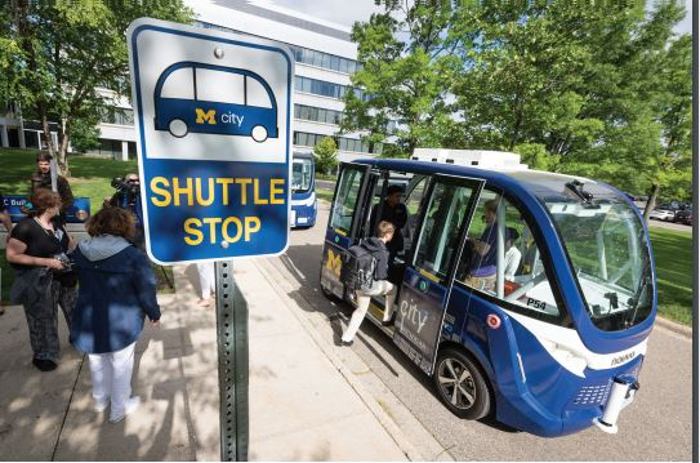 Mcity researchers are working on executing the ABC Test, beginning with three accelerated evaluation behaviors, and the 16 behavior competence scenarios for low-speed Level-4 vehicles, such as the driverless shuttles Mcity is currently operating on U-M’s North Campus. Mcity will pursue funding support needed to prove the ABC Test concept. 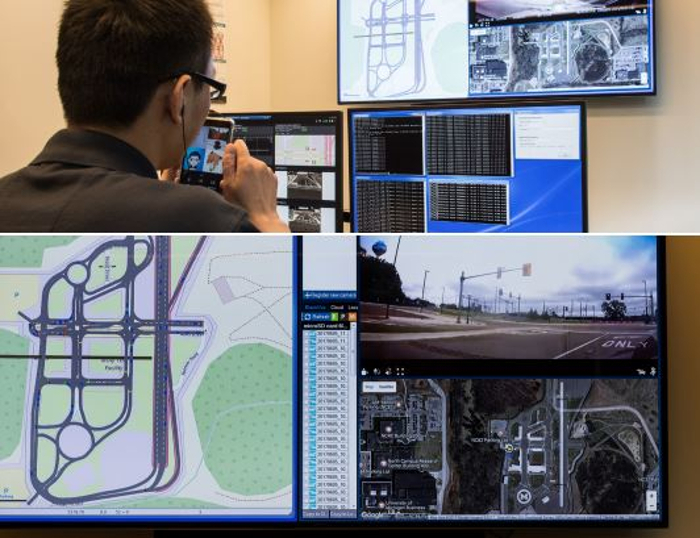 Researchers are developing the ABC concept using the Mcity Test Facility, U-M’s controlled, real-world environment for testing connected and automated vehicles (CAVs). 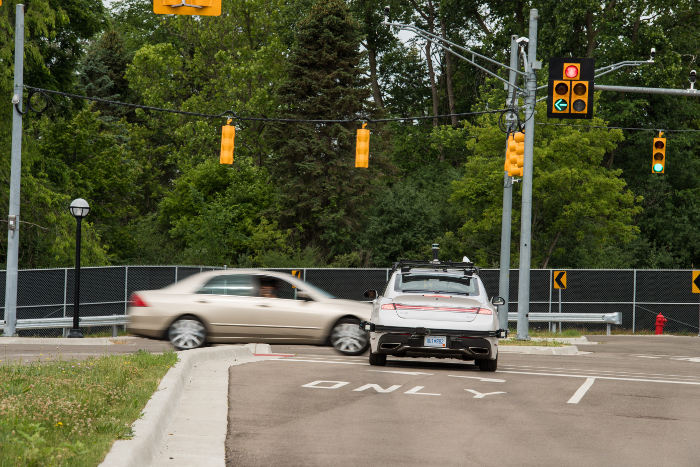 The ABC test could be scaled for larger test facilities as well, such as the American Center for Mobility (ACM) in Ypsilanti Township, Michigan. 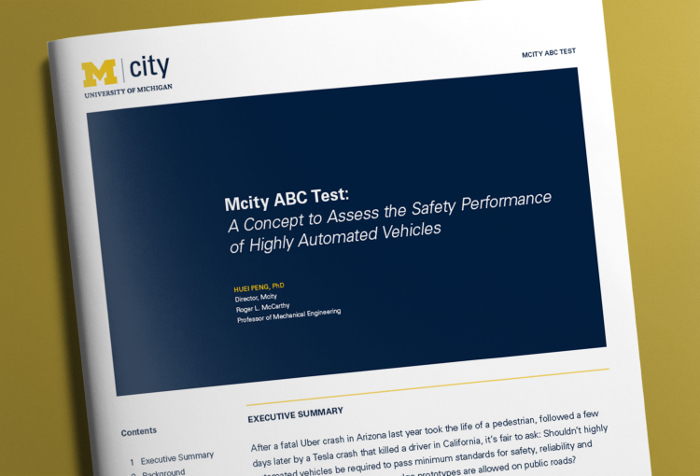 A comprehensive white paper outlining the crucial need that inspired the Mcity ABC Test protocol, along with specific test components, was released this week at the AutoMobil-D symposium at the North American International Auto Show in Detroit.